If he is happy with this choice, good for him, I will support him no matter what. Pathetic that who he is with is what determines if you are a fan of his. It's absolutely disgusting to be honest. Happy for them! In life without forgiveness you end up bitter & alone with 12 cats. No one is perfect no matter how bad you want them to be. This is a Robert Pattinson blog, bashing of him isn't tolerated. If you are a true fan you should respect his choice and be truly happy for him!! I am so FRIKKIN happy right now!! Read my comment again, it's one of our main rules, NO BASHING OF ROB. If you can't post a comment without insulting the person this site is dedicated to ... don't bother. The people who run this blog are free to handle the content on it as they see fit. It's their time and their dime. Personally, I respect them for keeping negative sh!t to a minimum. It's why it's the only site I visit now. 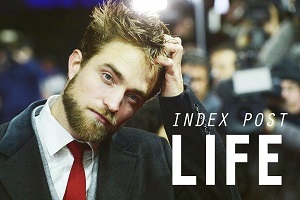 As the blog title says - Robert Pattinson Life - it's his life, his choices. More power to you, Rob. I love Rob and Kristen together. THEY ARE MEANT TO BE THAT WAY!! Everyone is entitled to slip up. She's young and we don't know the whole story. None of our business anyway. BE HAPPY FOR BOTH!! I felt like I was born again when I saw their photo of them together again. I love Rob and Kristen no matter what. True friendship and true love never die. Soooo happpy for them both. True love never dies. I am so happy they are out in public together again and I hope now their one month trial is up, all will be back to normal. I love these two and they so belong together!!! I hope everyone will respect their privacy during this time, and let them settle out their relationship themselves! But, that said, it's nice to see them out together! Silly me. I read it at source! If it makes him happy, then we should all be happy. I know I am. Happy that TRUE LOVE exists. Sorry that there are so many people who have only hate in their heart.Poor them. Wish Rob & Kristen all the happiness. I tip my hat to you RPlife owner! I like it that you are not tolerating bullying here! You live, you LEARN, you LOVE, you LEARN! Rob, you have my undying support, love and respect! 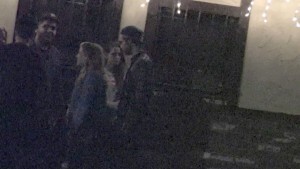 I'm so happy to see them out together again...ITA with@ELZA A.T...Wish Rob and Kristen all the Happiness in the future<333...thank you so much RPL editor for reminding people that this site is dedicated to Robert Pattinson and bashing Rob is not allowed! Comment by Carolina Almeida is Bullying! She is calling him and idiot and saying bullsh.t about Rob. Don't be pathetic Caroline, you are a delusional 'fan', I think I can't call you fan, a real fan at least RESPECT his/her idol. Oh You don't know what the word respec mean? Go to school! Caroline vc é uma BULLIER! Você é uma patética desculpa de fã! YES! This is what I'm talking about! Hellz ya! Awwww! They are a cute couple! It is very hard growing up and making your mistakes in front of the world who can be very nasty when they don't know the facts, and NONE of us know what really went on. Let them be. Anybody else notice how they just bail at the end and don't say goodbye to anybody? LOL Maybe that's what happens when you notice the papz hanging around, you just bounce ASAP and text everybody your "sorry's" later on or something. well everyone can read into things all they want. You can also see pictures/video and form your own set opinion on the happenings in them all you want, too. Whatever floats your boat, I guess, whether it's positive or negative POV. But whatever. It's nice to see them hanging out with friends! Yeah!-been waiting for what seemed like forever- to see "new" pictures of them together.Period. YAY YAY! I love the friendship and live they clearly display. I am happy for them & for those of who never lost hope! I think that's what I saw too. Kristen said something to Rob before they left. Kristen probably noticed the pap taking photos and Rob turned his head for a bit then they immediately left. @Twilightnan: ITA. For myself I'm so happy to finally see them together. But I only wish and hope that they're happy 'cause that all that matters. I'm sorry, and I'll probably get jumped all over for saying this, but I don't really see a "happy couple" in these pictures and videos. 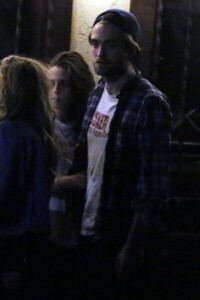 To me Kristen looks sad and worried and she looks like she is clinging onto him. Not clinging in a bad leech way, but in a way that a person who desperately wants to hold onto something does, even though they know it is fading or already gone. Rob simply does not look happy. Maybe he is tired or hungry, maybe he knows the paps are around and he is irritated, I dont know. What I do know is that Rob does not have even one ounce of the look he used to have when he used to look at her. It just isnt there. When he turns to walk away he doesn't even look back to see if she is following. 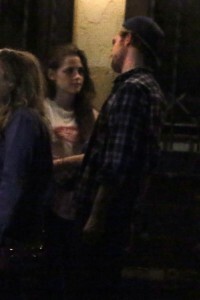 How many times have we seen Rob in the past look over his shoulder to check on his girl. Sorry guys, but I think things are definitely still up in the air with him. I think this might be a couple who is really trying to work things out, but I don't think I would call them happy just yet. I agree with you Black Swan...I don't get that they are this happy couple back together from this video. Maybe they are working on things, maybe they are just friends. If they are working on things I don't think they are there yet. I just hope she doesn't screw him over again. I just want good things. For both. Or maybe it's what's called a PUBLICITY STUNT in Hollywood. As old as the business itself. This reunion is just in time for the release of their next movie next month....lots of money riding on it, and the studio's taking no chances! Couples like Emma Stone & Andrew Garfield etc.. are out in public every single day together, but they are cute & all that, but when it's Rob & Kristen it's PR? The same Rob & Kristen who went into the private entrance to avoid being seen & photographed? The same Rob & Kristen the papz finally caught up with for the FIRST time in months? If that is PR someone should tell them they are doing it wrong. You do realize BD2 is going to make money regardless. Before being spotted out together BD2 ticket sales already surpassed BD1 so your argument is invalid. It's pathetic that they can't even go outside together without someone screaming PR. You're right RC. If it's PR stunt, wouldnt they just smile at the paps or even kiss in front of them? Or attend every party there is as a couple? 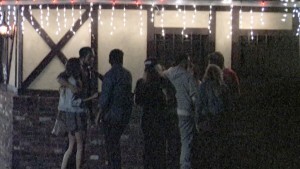 The way I see it in the video Rob walked to Kristen's side and Kristen said something (she prolly noticed the paps), Rob turned his head to where the paps were and they immediately left. I think that the fact that they always seem to hang out with friends means something. What? I’m not sure. It’s clear that they are trying to reconnect, but to what extent they have gone so far.? I don’t know. This is all weird. they said they were in there for 4 hours drinking? i think that i see a couple who is probably exhausted and just a little bit drunk. even the paps are yawning. they were together the night before and probably all week. you just cant judge someone from a one minute glimpse. impossible. but who knows, im sure it's hard on him. very hard. none of us knows their dynamics. I don't really care who's his girlfriend is as long as the girl has some good image. I would be comment my protest IF he's with Paris Hilton, Lindsay Lohan, hahahaha I hope it won't be happen. What I see in the beginning of the video is Rob's arm around a blonde woman and they are holding each other's hand. Then a guy comes up and says something in Rob's ear and he immediately removes his arm and hand from her. Kristen is way on the other side within another group of friends. Something is very off between them. Don't know if they are "together" together. I looked a video once more and I am wrong about Rob holding the woman's hand. Unfortunate but that he will have to bear the consequences of that choice. He may have a wonderful woman, honest and with the same values ​​and goals, but love is blind and dumb. He does not regret that, being now being called names on the net, many fans are angry with him. I hope this girl will not repeat what he did and make the clown to the world again. Hope you learned something. Despite finding that she learned nothing, that he really does not like him, to betray's in your blood. May God bless you and Rob very lucky, because you will need someone like dating. I am letting people know that woman who rob has his arm around is kristen's friend for a really long time and she DOES has a boyfriend! 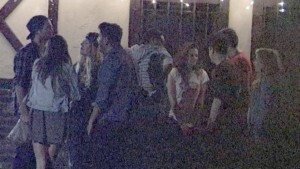 another thing is that all those people are kristen's friends, you know what I mean? rob was there with Kristen and HER friends. so there's just a reason he was there and this reason is Kristen. I'm not happy with what she did at all, probably they aren't too but offend rob for his own choices is not gonna change anything. She missed up, she made a really and bad mistake but if rob forgave her and it's still with her so it's cuz he really loves her. We as fans have to support what he wants for his own life!! I am amazed to see all the judgmental comments here. You're quick to claim they're unhappy with each other and the pics prove it because they're not smiling. I wouldn't smile either if I knew the paps were taking pics and vid of every move I made AND neither would you! Im not sure why the people writing negative comments come on this board anyway if they're so unhappy that Rob loves Kristen. 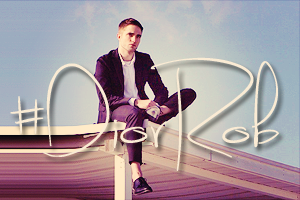 This is a Rob fansite and that means you are a fan and support his work. It doesn't give you the right to have a say in his personal life. In case you haven't noticed...he doesn't want or care about your opinion. Your desperate attempts to control his life and spread lies are only pushing him away from all the fans to avoid the hate and conflict. What a shame for those of us that do support him without being judgmental. Mischie, thank you for clearing up about Kristen's friend. When I first saw that, I was a little in shock and confused. I love this site as it seems really respectful. Can somebody tell me if it's an electronic cigarette that Kristen was smoking? I read somewhere that Rob's smoking an electronic cigarette. I'm wondering if Kristen is too. 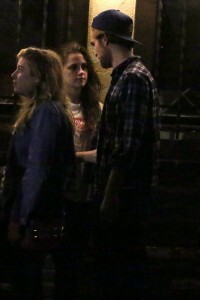 Forsberg21 I have to agree with U.
Kristen looks like she is trying to get close to Rob, he ignores her. She is devastated and looks like she's been crying. Don't get me wrong, I like them both and I hope that they will be ok.